Our customers are often curious how jerky is made. 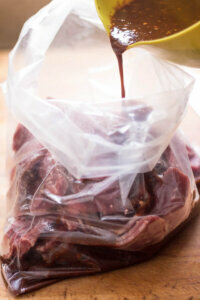 Our traditional family recipes are hush-hush but we are happy to share the basic steps to making meat jerky. By searching the internet, you can find many basic recipes. Basically you gather a whole bunch of spices and sauces ( the choice is yours ) together, along with a kilo or so of sliced leanish beef or any other red meat that you care to use and marinate for a time in the fridge ( 12 hours or more ). 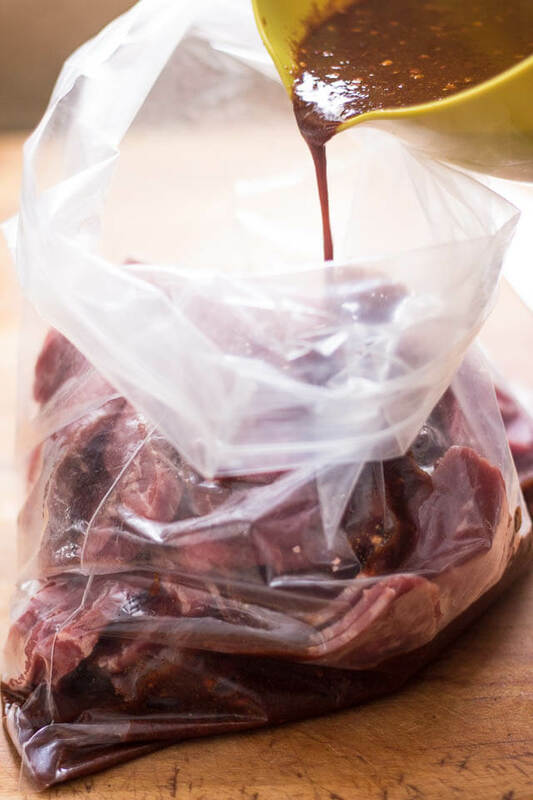 Make sure you turn over the marinating meat every now and then, making sure your soon-to-be beef jerky is fully covered in marinate. Once that is done, lay the strips on a tray in the oven, or in a dehydrator ( small dehydrators are inexpensive from shops like k mart, big w aldi etc ) at least 65-70 degrees celcius for 3 hours or so until meat is dried to consistency. If drying in the oven leave the door open 1/2 inch to allow the air to flow through. This process differs a little from the way MALLORYS TOCINO makes tocino jerky. We do follow the basic beef jerky making process, BUT we cut thinner strips, dry for less time AND then grill. This allows us to make pork jerky and chicken jerky as well as the beef, because the extra heat from the grilling kills all the bacteria in the meat. This also produces a slightly softer, juicier and still chewy jerky. Traditionally Tocino Jerky is made from pork and originates on the tropical island of Cebu in the Philippines. The recipe is from Lorys family and is still made by Lorys brother, Ramon, in Cebu. 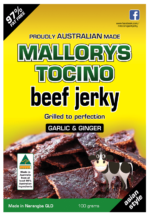 MALcolm and LORY (MALLORYS) now make the tocino jerky in Australia and have tweaked the recipe for Australian tastes and now include beef and chicken. Throughout the orient many countries have their own version on tocino jerky, mainly made in pork. Singapore and Malaysia haye Bak kwa ( a sweet minced pork sold in flat sheets) Malaysia also has a beef jerky version. Vietnam has Thit Koh Bo, Korea has pork Bulgogi. As you can see Jerky is not just from the Americas and Africa. It is an international healthy meat snack for everyone! Posted in Asian Jerky, Asian style jerky, Beef Jerky, Chicken Jerky, Jerky Snacks, Pork Jerky and tagged beef jerky recipe, chicken jerky recipe, pork jerky recipe. Looking for easter activities this Friday come and watch brisbane to gladstone yacht race with markets foodie & beach party . Subscribe to our Newsletter for exclusive discounts, latest news, special deals & more. Mallorys Tocino Jerky © 2019. All rights reserved. Quality Handcrafted Australian Beef Jerky, Pork Jerky and Chicken Jerky.